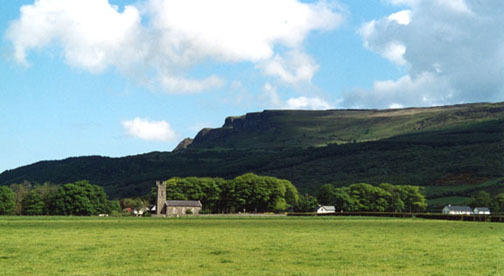 Situated about two miles outside of Limavady, Aghanloo Old Graveyard resides in the townland of Rathfad. It sits on a raised hill on a bend in the road overlooking the main road to Magilligan (OS reference C679279). 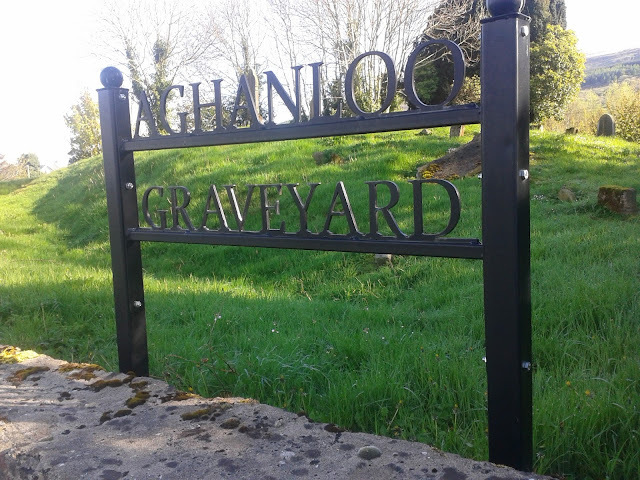 Aghanloo New graveyard can be found at Aghanloo Church of Ireland in the parish of Drumbane, which was built in 1826. 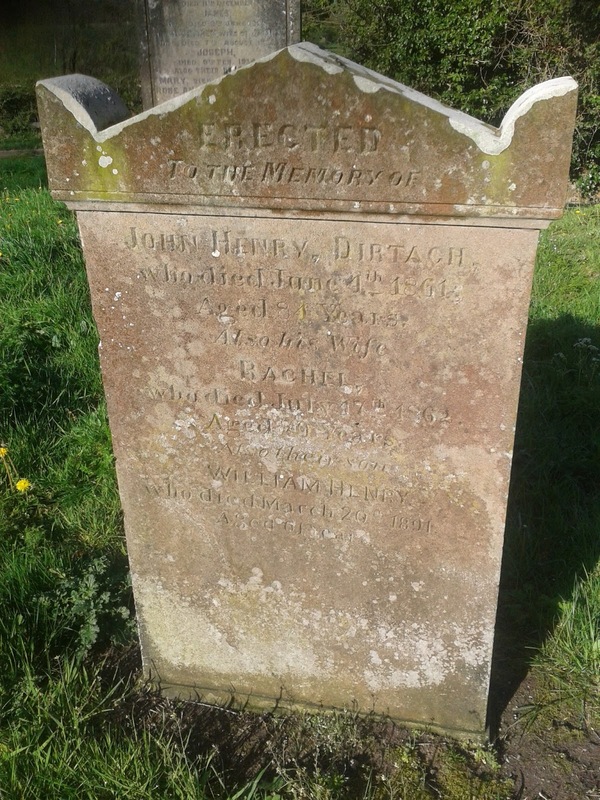 On a recent visit I copied some of the older headstones that were still legible such as that for the Henry family of Dirtagh, Aghanloo. HENRY: Erected to the memory of John Henry, Dirtagh, who died June 4 1861 aged 84 years. Also his wife Rachel who died July 18 1862 aged 70 years. Also their son William Henry who died March 20 1891 aged 61 years. I believe that this Henry family resided on a farm of about 44 acres in Dirtagh that they called Flowerfield. John Henry's wife was Rachel McMillan and they had 12 children eleven of who emigrated to the USA between 1836 and 1860. William remained on the family farm with his parents. A History of the family was published in 1926 entitled 'The History of the Henry Family of Flower Hill, Ireland' by Margaret Birdenia (main author) and Mattie Miller (added author). Printed Los Angeles, California, 1926. 1891: June 24th. This morning we drove to Aghanloo burying ground in a Jaunting car to see the engraver put Uncle William's name and inscription on the Henry monument. A nice stone is erected for Grandfather, Grandmother and Uncle William (page 17 Henry Family of Flower Hill). Arclow is of course Aghanloo. I am fairly certain that the Hillhouse family were of sufficient means to erect a headstone in the graveyard. It does seem likely that one of the headstones that is now indecipherable belonged to this important local family. I have written a short paper on the Hillhouse family of Aghanloo, which is available to read on the link below. The family had origins in Irvine, Ayrshire in Scotland. 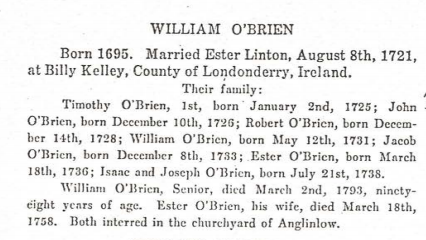 Another family that used Aghanloo Old graveyard according to family tradition was the O'Brien family. The following information was gleaned from a short history of the family who emigrated to Nova Scotia.